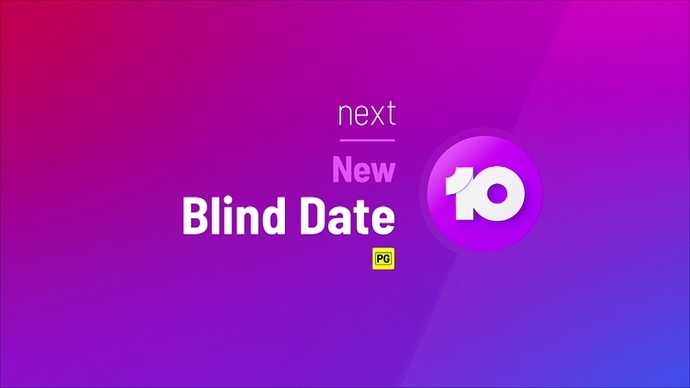 Promos currently screening on the channel use the original logo with the octagonal “O”. 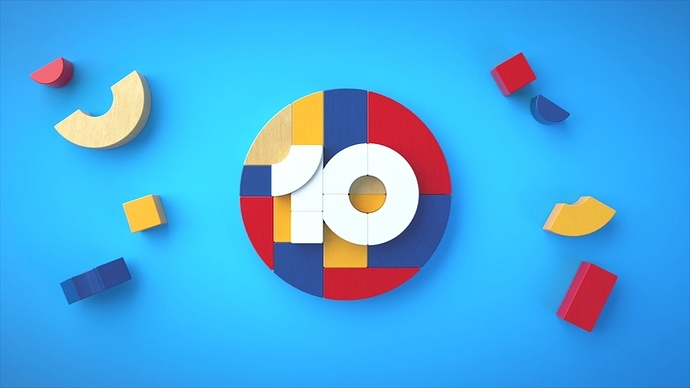 During the sponsored program “Pooches at Play” they are showing the original 10 Boss logo after the break but then the logo transforms into the other watermark with the filled in “O”. How bizarre. The promos look less appealing too, even though I like the general presentation. I saw a promo for the movie “Space Cowboys” which airs tonight and the end-tag had no photo or copied title design, just a generic text/font on a mauve background. I also agree about the solid O in BOSS, I think it looks worse now with it, though I just saw a promo that didn’t have the solid O, and the PRG didn’t have the solid O either… That seems a bit inconsistent? I also agree that 10 BOSS seems like a better fit than 10 PEACH, I wonder why they didn’t go for something like 10 HIT, that would resonate well with their female audience. I wonder why they didn’t go for something like 10 HIT, that would resonate well with their female audience. 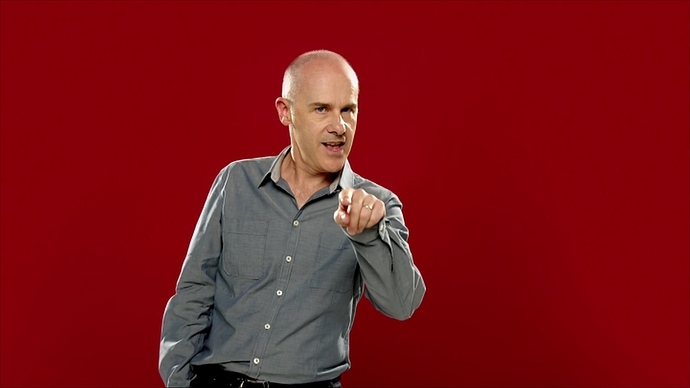 Three words: Southern Cross Austereo. I would’ve gone for something short, sharp and simple like 10XL (extra large/excel), 10XS (excess), 10XTC, 10Express or 10Pix. Agreed. However we’ve got too many ix! Yep, 7Flix and FoxFlicks definitely the most recognisable ‘Flix/Flicks’ suffix in the world right now. Agreed. However we’ve got too many ix ! Flix/Flicks’ suffix in the world right now. Never said that, just a point of interest. Why do they have to copy others? I think the whole point is to be differant to 9 and 7! Would make a great kids programming block identify! Video of tonight’s line-up a couple of station idents and some promos. Stark comparison to BOSS and PEACH. They look like an after thought. You’re saying it like it’s a bad thing. 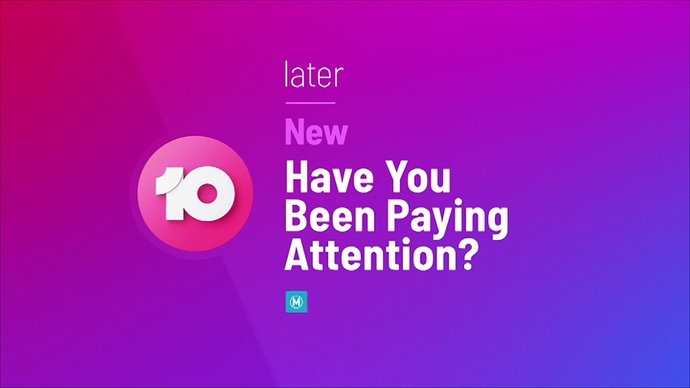 IMO a nice carryover from Ten’s previous identity, like the four-note sting in the news theme.